More than 130 species of birds have been seen in the area encompassed by the LPLA boundaries (M-22, Saffron Road, Indian Hill Road and Deadstream Road). The lake itself is host to Common Loons whose well-being the Association has sought to promote. For many years Bald Eagles have nested in the swamp adjacent to the lake, and in the winter as many as 20 eagles have been seen on a mostly frozen lake (the eagles seem to find the fishing especially good when there is some open water). 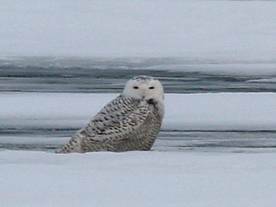 Snowy Owls also have been seen on the lake's frozen surface, most recently in 2014. Little Platte Lake is just the right size to support one pair of nesting Common Loons. But loons have many predators to worry about--from the sky, from the land and even from the water. 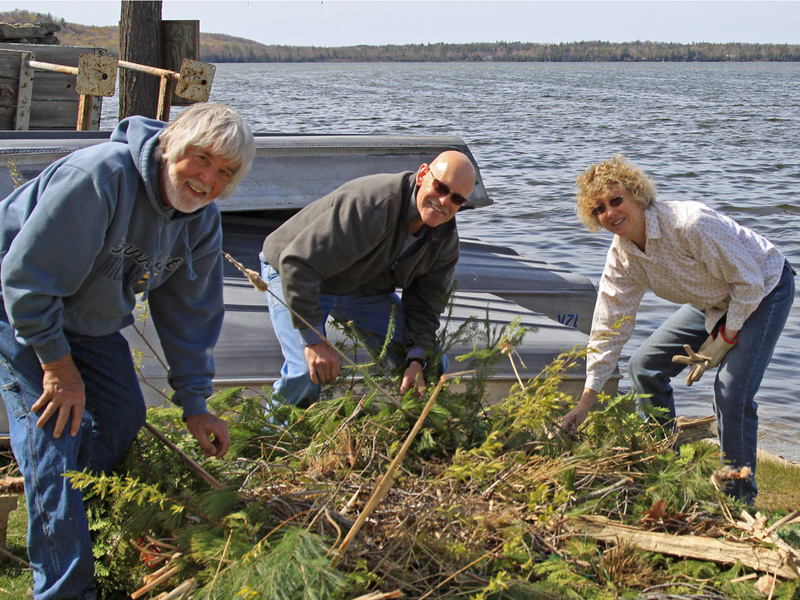 To protect loon nests from predators the Michigan Loon Preservation Society recommends the installation of a floating nesting platform in lakes where the loons have traditionally nested but whose nesting efforts have failed for two consecutive years. In 2007 this was the situation at Little Platte Lake, prompting LPLA's Board to build, decorate and install a nesting platform. The loons used the platform that year and produced eggs, but unfortunately someone (or something) scared the loons off their nest before the eggs hatched. Each year since then, LPLA has decorated and installed the platform in early spring, and the loons have used it (or not). And then in early July LPLA has removed the platform in accordance with DNR requirements. The results over the years have been mixed, but in 2014 our efforts paid off: the loons raised a healthy chick! From the outset the adults were wonderful parents, keeping the tiny chick out of sight whenever possible. Even as the chick grew larger, if another bird (or a well-meaning photographer!) 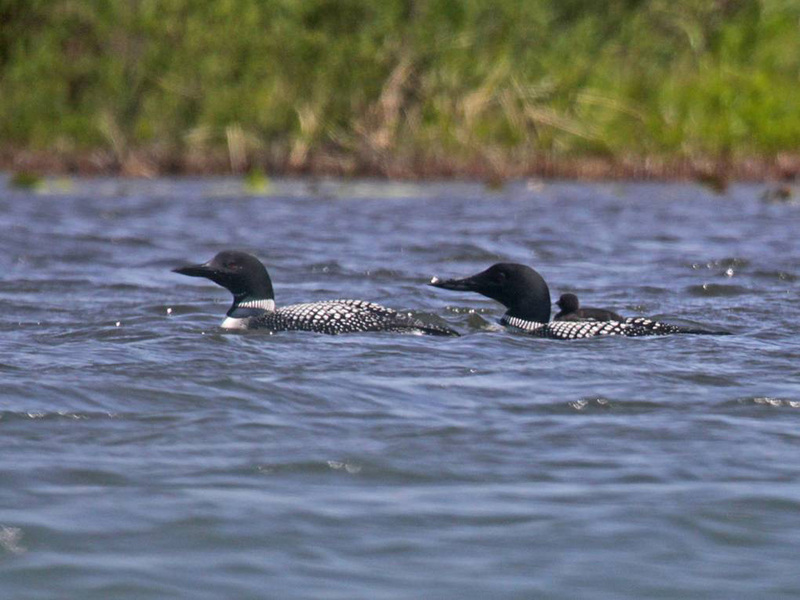 got anywhere near the loons, one adult would separate from the chick and other parent and raise an incredible fuss. By August the chick was as large as its parents, and soon all three were gone. 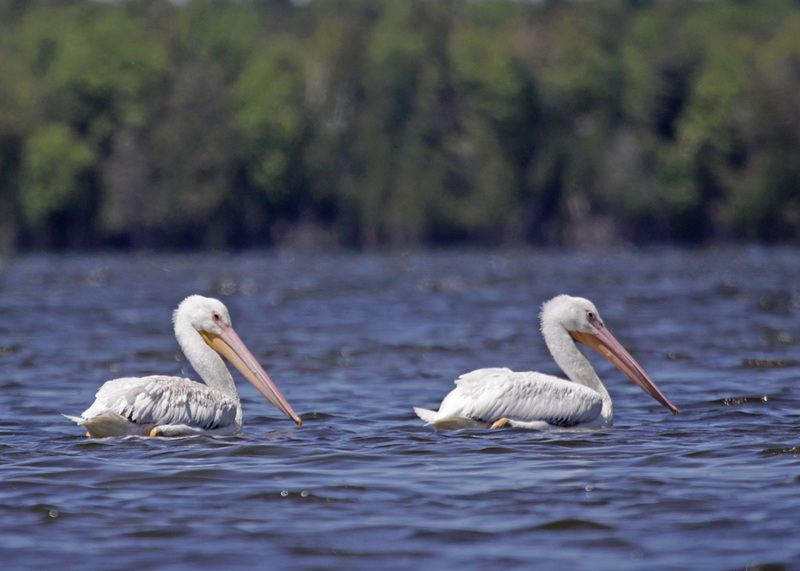 In addition to our eagles and loons, interesting visitors sometimes show up, such as these American White Pelicans that spent several days at Little Platte Lake before continuing their migration to points north and west. Sometimes Great Egrets visit areas normally occupied by our Great Blue Herons. One May a juvenile Black-crowned Night Heron appeared along the north shore, and the following September an American Bittern was spotted on the western shore of the lake. Of course numerous passerines are also found around the lake, from feeder favorites like grosbeaks and hummingbirds to grouse, woodcock and various woodpeckers, raptors and flycatchers. The species normally found include Winter Wrens, Veerys and Canada Warblers. 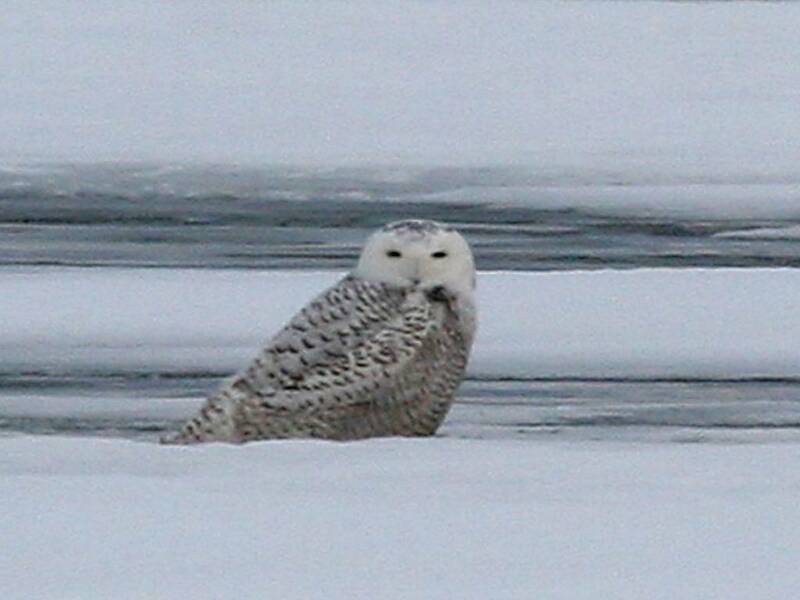 Birders new to our area might also be interested in the activities of the Benzie Audubon Club.